Offering powerful, bassy sound with greater clarity and improved dynamics over your standard earphones are the boAt Bassheads 238 Extraaa bass in-ear headphones. The earphones deliver powerful bass-driven stereo sound and the effective noise isolation further aids in improving your audio experience. 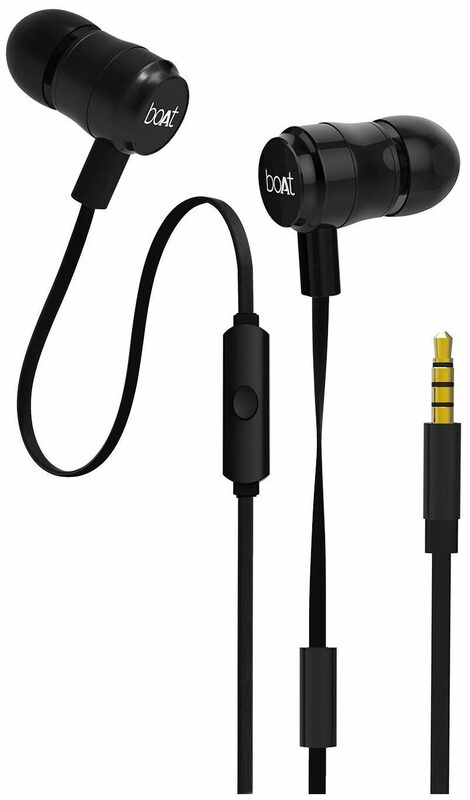 Designed to be extremely lightweight and with the durable metal housing construction, these earphones make for ideal long term use music companions. Equipped with an inline microphone with multifunction control button, tangle free cable and a snazzy premium finish that sets a bold and trendy vibe. Feel every boom of the bass and tune in to the boAt Bassheads 238 for a basstastic experience!